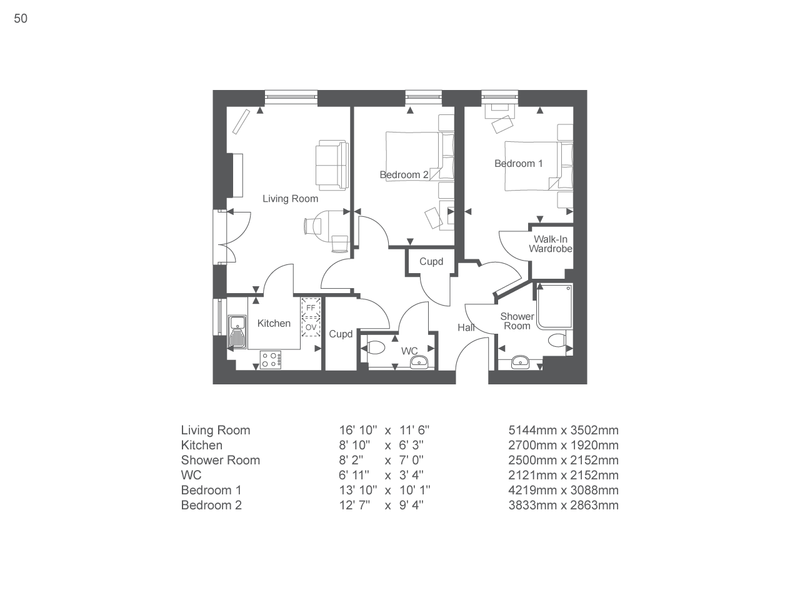 Apartment 50 at Lambrook Court is a Third floor, North East facing, 2 Bed Apartment measuring 70.87 square metres. Lambrook Court boasts a prime location in beautiful, historic Bath, a world-renowned spa town and the only in the UK to have the whole city granted World Heritage Site status. This fine collection of age-exclusive apartments is a must-see for those seeking Retirement Living plus in Bath. Lambrook Court provides the level of freedom needed for homeowners to maintain their independence for longer and live retirement to the full. There is an on-site, 24 hour, Estates Management team and a 24 hour emergency call system so residents can receive flexible care and support in their own home. Additionally, all external property maintenance including gardening and window cleaning is taken care of. 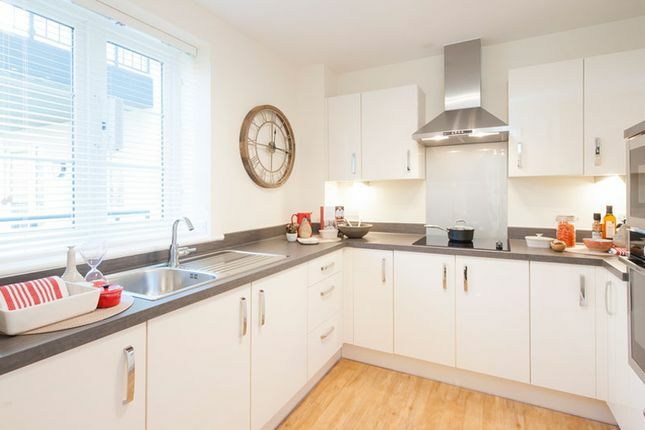 Lambrook Court features stylish one and two bedroom properties, all of which are spacious, modern, and perfect for a relaxed and independent retirement. The apartments at Lambrook Court include generously sized bedrooms, large living areas and high quality kitchens and bathrooms. Homeowners' benefit from double glazing and underfloor heating, with select apartments featuring private balconies or patio areas. There is plenty of storage throughout your property, including walk-in or built in wardrobes, and every room is finished with high spec fittings. Your home at Lambrook Court is high quality, easy to maintain and provides exceptional security systems, delivering you the peace of mind to enjoy a stress-free retirement. Away from the privacy of your apartment, Lambrook Court features several social areas, including a restaurant, homeowners' lounge and function room. The gardens are beautiful and well maintained, meaning you can enjoy the fresh air and flowers without having to lift a finger. And when it comes to your friends and family visiting your new home, they too can enjoy comfort and privacy in the guest suite. The historic City of Bath is famous for its stunning sandstone architecture and for its original Roman Baths. It is a unique city which offers contemporary, cosmopolitan living and history in equal measure. Larkhall is also a stones throw away - ﻿as well as Alice Park - with a lovely caf﻿é that forms part of the community, and the nearby New Oriel Hall is the hub of community life with regular classes, workshops and community events. The postcode is newly created by Royal Mail and may not be accurate for some months. If you are using a Sat Nav system please use the following postcode: BA1 7BL which is for Alice Park, located next to Lambrook Court. Property descriptions and related information displayed on this page, with the exclusion of Running Costs data, are marketing materials provided by McCarthy & Stone - Lambrook Court, and do not constitute property particulars. Please contact McCarthy & Stone - Lambrook Court for full details and further information. The Running Costs data displayed on this page are provided by SmartNewHomes to give an indication of potential running costs based on various data sources. SmartNewHomes does not warrant or accept any responsibility for the accuracy or completeness of the property descriptions, related information or Running Costs data provided here.